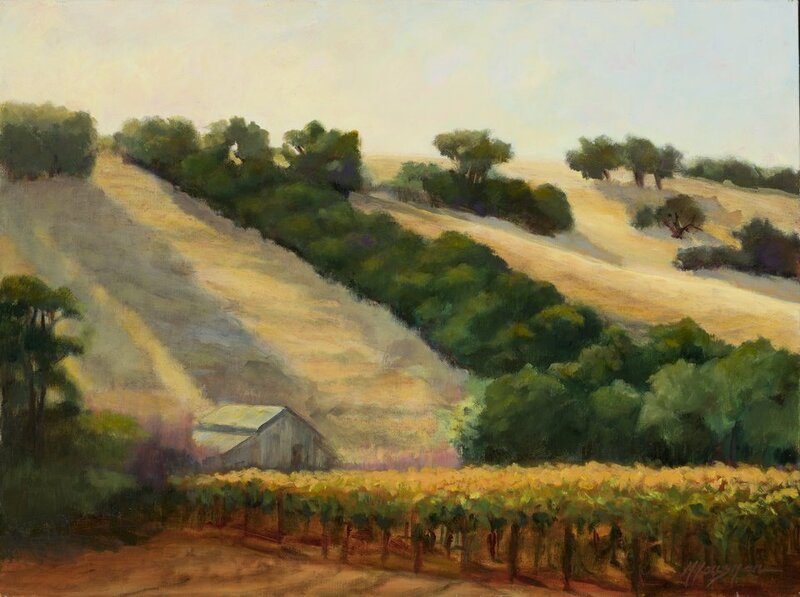 The curving lines of the rows of vines define the rolling hills. 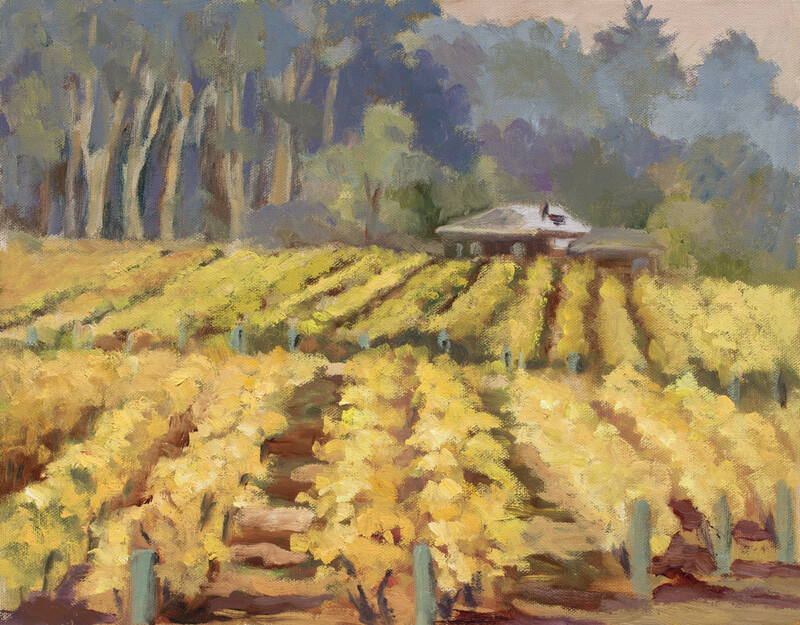 In the fall, the color on the vines turns to amber, crimson and gold. 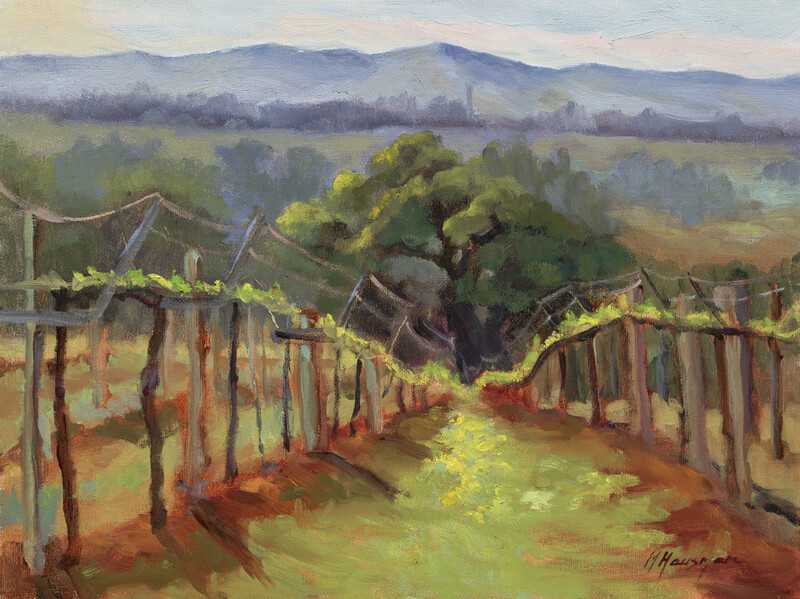 Pleasant valley vineyard. Purchased framed in 4" wide black with gold lip edge. Painted near the Thomas Farm in Pleasant Valley, Corralitos, CA Late afternoon shadows and bright light on the vines made for interesting patterns and contrast. 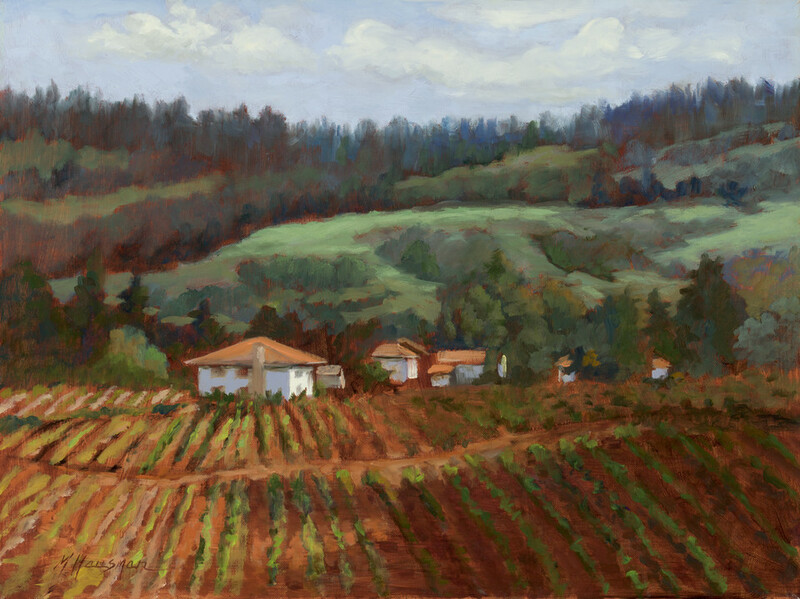 Painted at Regan Vineyards in Corralitos. 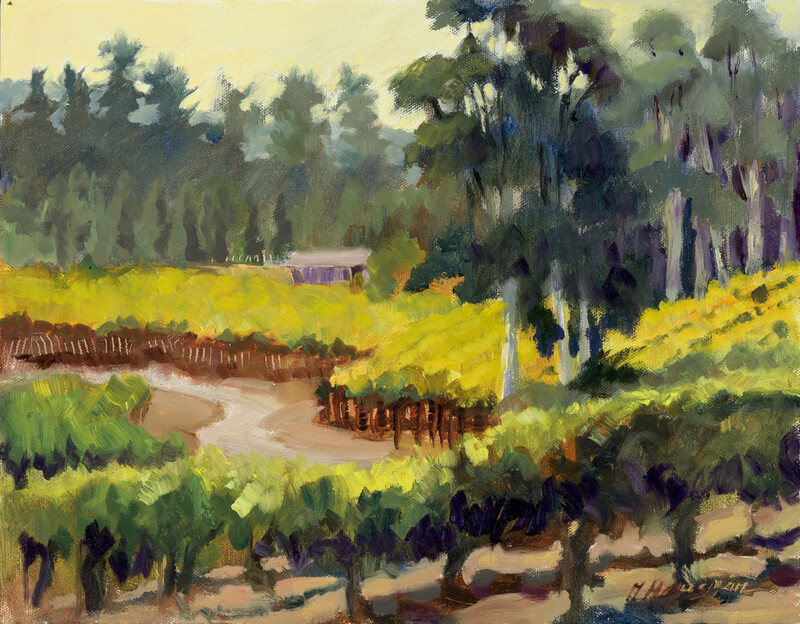 Vineyard owned by John Bargetto. I felt an urgency to capture the fading light of the late afternoon as long shadows descended down the golden hills. 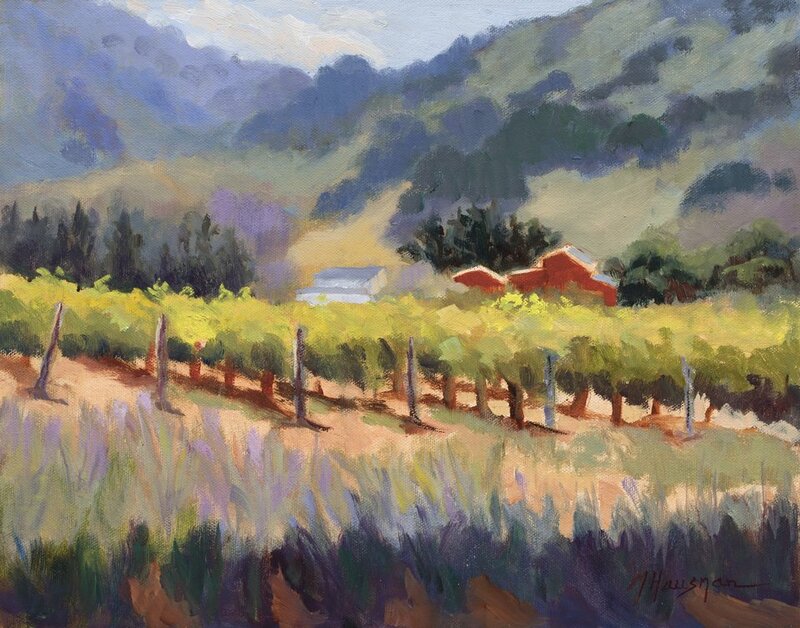 The vineyard rows lead the viewer’s eye back to the rustic barn even as the shadows bring the eye down to it. 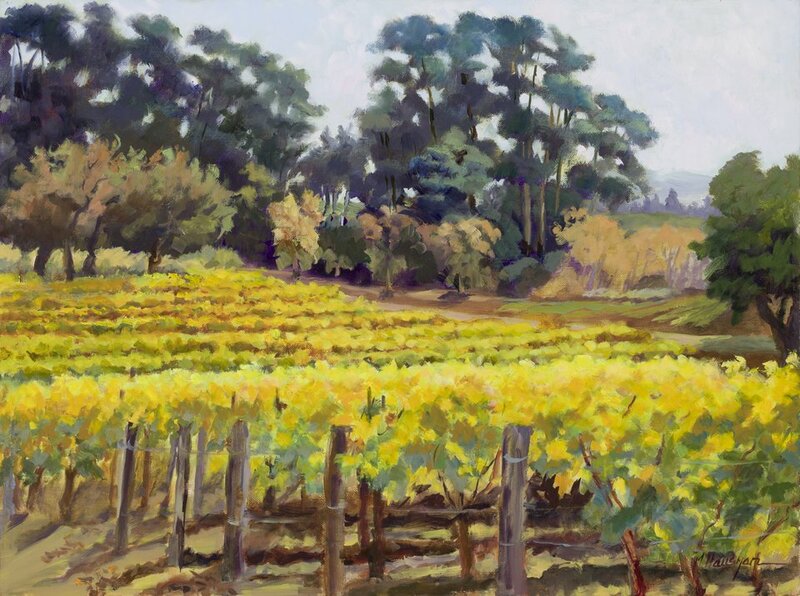 Painted from memory, images, and a study of a vineyard in Coralitos. The fog was lifting and the light came through lighting up the vineyard. Available as a giclee print. 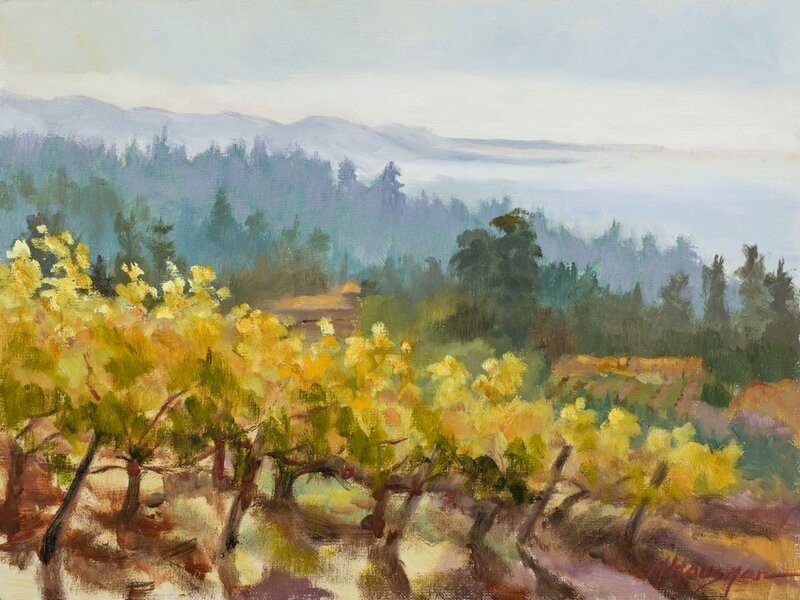 Morning look over the vines at Soquel Vineyards allows a view down to the sea and the Monterey Peninsula.